Religion for me is intensely personal. My religion is something that I have chosen. It is a relationship with God that I feel we (God and I) have mutually agreed upon. I have been a lukewarm agnostic, a stanch atheist, and last Mother’s Day…I was baptized as a Christian after having actively practiced Christianity for the better part of the previous seven years. I have read many of the major Religious texts, or in some cases, fairly in-depth references about how and why such religions are practiced and by whom. Christianity was the shoe that fit for me. I exercised my free-will…I chose it. I like it. I like Jesus. I have crazy mad respect for Jesus and he has crazy mad love, forgiveness, and acceptance for me. He and I are tight. We talk…I learn. It works for me. Now as Christmas lingers around the corner, I look forward to sharing the experience of the story of the nativity and Jesus Christ’s birth with my fellow Christians and with my family. I also look forward to celebrating the secular part of what our cultural Christmas in America has become with my fellow Americans…and fellow Earthlings…and my family as it pertains to me being a human being on this planet…my family of “children of God” which I believe, we ALL belong to. What I have learned from God, from Jesus, from my religion…above everything else…it has taught me the most important thing I can do while I am blessed to be here, on Earth, as the person I am…is to LOVE. Okay…I’m now taking you to church (Christian church)…for a moment. Luke 6:31-36 31 Do to others as you would have them do to you. 32 “If you love those who love you, what credit is that to you? Even ‘sinners’ love those who love them. 33 And if you do good to those who are good to you, what credit is that to you? Even ‘sinners’ do that. 34 And if you lend to those from whom you expect repayment, what credit is that to you? Even ‘sinners’ lend to ‘sinners,’ expecting to be repaid in full. 35 But love your enemies, do good to them, and lend to them without expecting to get anything back. Then your reward will be great, and you will be sons of the Most High, because he is kind to the ungrateful and wicked. 36 Be merciful, just as your Father is merciful. Romans 12:8-10 8 if it is encouraging, let him encourage; if it is contributing to the needs of others, let him give generously; if it is leadership, let him govern diligently; if it is showing mercy, let him do it cheerfully. 9 Love must be sincere. Hate what is evil; cling to what is good. 10 Be devoted to one another in brotherly love. Honor one another above yourselves. 1 Corinthians 13 1 If I speak in the tongues of men and of angels, but have not love, I am only a resounding gong or a clanging cymbal. 2 If I have the gift of prophecy and can fathom all mysteries and all knowledge, and if I have a faith that can move mountains, but have not love, I am nothing. 3 If I give all I possess to the poor and surrender my body to the flames, but have not love, I gain nothing. 4 Love is patient, love is kind. It does not envy, it does not boast, it is not proud. 5 It is not rude, it is not self-seeking, it is not easily angered, it keeps no record of wrongs. 6 Love does not delight in evil but rejoices with the truth. 7 It always protects, always trusts, always hopes, always perseveres. 8 Love never fails. But where there are prophecies, they will cease; where there are tongues, they will be stilled; where there is knowledge, it will pass away. 9 For we know in part and we prophesy in part, 10 but when perfection comes, the imperfect disappears. 11 When I was a child, I talked like a child, I thought like a child, I reasoned like a child. When I became a man, I put childish ways behind me. 12 Now we see but a poor reflection as in a mirror; then we shall see face to face. Now I know in part; then I shall know fully, even as I am fully known.13 And now these three remain: faith, hope and love. But the greatest of these is love. 1 Corinthians 16:14 14 Do everything in love. Everyone in America, everyone that I share the Christmas holiday with and among, every member of my family of “children of God” does not have the same religious preference that I have. What we do have in common…what we share for each other…what we can peacefully agree on this time of year is this; LOVE…and the belief that LOVE is more important that anything else. As Glennon Doyle of my favorite blog, Momestary, says, “Love wins.” Yes, love does win. Despite our differences and in spite of our failings, we can love. I welcome the Christmas season. I am open to allowing Christmas into my life in any and all ways. In doing so, I hope I encourage love and make room for love to fill me. 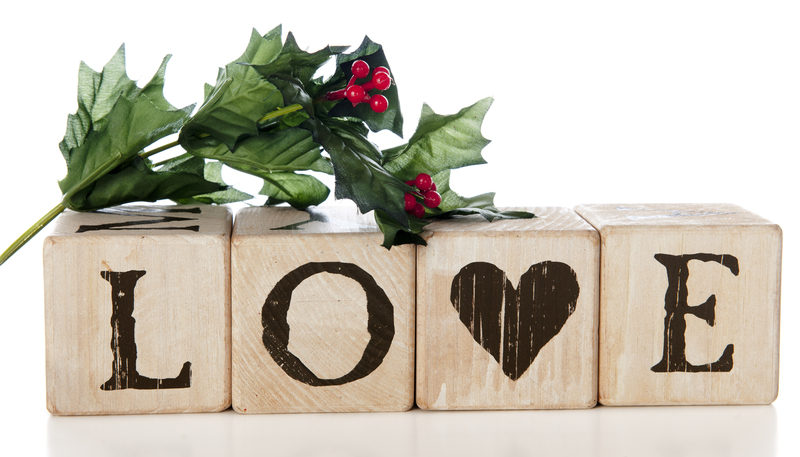 That…for me…the being filled with LOVE…is the best of all Christmas gifts. A friend shared this video on Facebook today. It brought me to tears. It is beautiful. I share it with you in hopes that regardless of your choice in religion, you can receive the love that is this group’s talent and experience their gifts to the world in action. Merry Christmas!